July was a roller coaster of emotions for me, but I'm glad it had a sweet ending. For a time, I felt very pressured and stressed to complete the things needed to be done, but then because of two surprising moments that happened to me, the month ended feeling exceedingly joyful and grateful. I'm sure you'll agree with me when I say that we always look forward to sweet endings. It can be a promotion at work after working so hard, desserts for post-lunch or post-dinner meal, or maybe a great chitchat night-cap session with friends after a long day. Whatever that may be, sweet endings are moments or things we look forward to, so we can enjoy and savor the greatness of the things around us. RIP the elegant Cadbury packaging and see the perfectly shaped mounds of chocolate. BITE into the chocolate bar slowly and hear that satisfying snap. MMM-Melt the creamy chocolate in your mouth without even chewing or swallowing it immediately. ENJOY by repeating the ritual: Bite and MMM-Melt, Bite and MMM-Melt. Until the world MMM-Melts around you and you remember that all good things in life must really be savored. 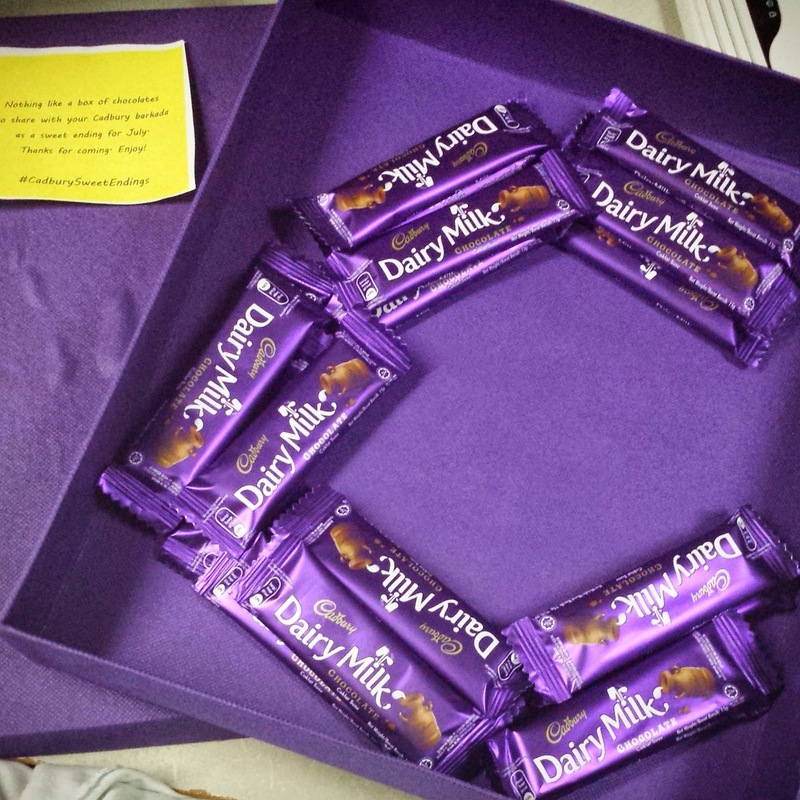 So remember: when life throws you lemons, make lemonade and enjoy it with a Cadbury Dairy Milk to keep you optimistic amidst adversity or misfortune.